Today most of the things are getting digitalized, making our life convenient. One of them is the way we are taking a personal loan. Quick personal loans are now getting popular due to the paperless transaction and the rapid application process. Spending 2-3 weeks for a personal loan approval makes the life difficult. When you are in need of instant cash, quick loan apps can be your saviour. These apps are accessible 24/7 online. All you need is a working internet connection and a smartphone. Your loan can get approved on the same day of application. • Download one of the quick loan apps on your smartphone like CASHe. • Register yourself by entering your basic contact details like name, phone number, address, and bank details. • The next step is to enter your desired loan details i.e. : loan amount and the duration. You can take a loan starting from ₹10,000 to ₹1 or 2 lakhs. The duration can be 15, 30 or 90 days. • You have to submit your recent and valid documents online to avail a quick loan. • When your request is approved, the loan amount is then transferred to your personal savings account. 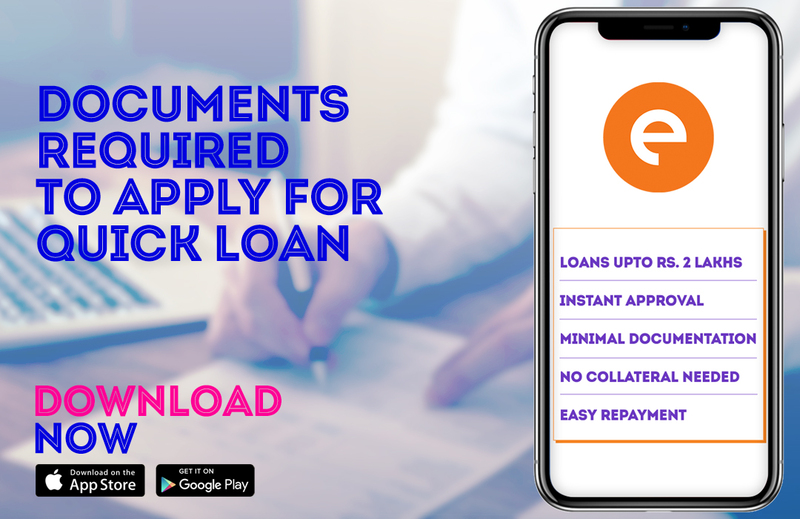 The documents required by a quick loan app are quite simple. Make sure all the documents are latest and valid. You don’t need to submit the documents physically, you can simply upload them online via your smartphone. You are eligible to apply for a personal loan if your age is between 23 years to 58 years old. You can either be a salaried employee or a self-employed person. Income proof: You need to submit your income proof documents to avail a quick loan. Your 3 to 6 months’ salary slips will be required along with your bank statement. Identity proof: You have to submit your ID proof such as pan card or aadhar card or driver’s license or passport to the quick loan apps. The app will send you a reminder alert of the due date.